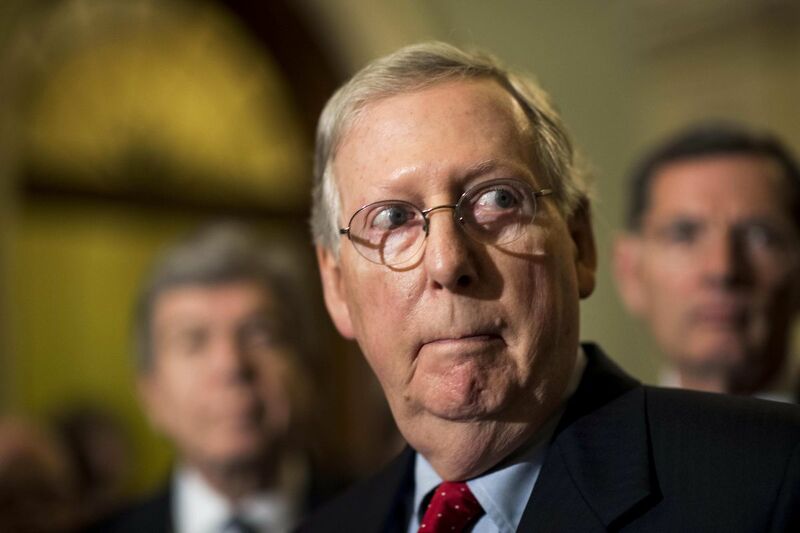 Mitch McConnell will easily go down as the most corrupt Senate Majority Leader in American history. Russian aluminum giant Rusal spent most of last year under US sanctions. Now it's pumping $200 million into a new project in Kentucky. Rusal, the largest producer of aluminum outside China, will help fund and supply a low-carbon aluminum rolling mill under construction in the eastern part of the state, parent company En+ Group said Sunday. The Russian company will take a 40% stake in the project, which is led by US startup Braidy Industries. The 2.5 million-square-foot plant in Kentucky will churn out metal for the auto and aerospace sectors. The investment comes after the US Treasury Department in January lifted sanctions on Rusal, En+ Group and another firm with links to Russian oligarch Oleg Deripaska. The agency said that the companies had undergone significant restructuring to dilute Deripaska's control. "Treasury sanctioned these companies because of their ownership and control by ... Deripaska, not for the conduct of the companies themselves," Treasury Secretary Steven Mnuchin said in an earlier statement explaining the decision. Deripaska, who has close ties to Russian President Vladimir Putin, was targeted by US sanctions a year ago as part of a wider effort by the Trump administration to punish the Kremlin over interference in the 2016 election. He had a business relationship with Trump's former campaign chairman Paul Manafort, who has since been convicted of tax and other fraud charges connected to his work on behalf of Russian-aligned Ukrainian interests. Democrats have objected to lifting sanctions on Rusal and other Deripaska-linked firms that were targeted, with House Financial Services chair Maxine Waters pressing Mnuchin on the decision as recently as last week. Rusal is investing in the Kentucky mill despite US tariffs on foreign aluminum and steel that were imposed by the Trump administration in March 2018. Executives from both companies said in a joint interview on Yahoo TV Monday that they planned to pay the tariff on supply from Rusal. They said the scale of the operation would help reduce costs. The metals tariffs, in place for more than a year, have been controversial. The Economic Policy Institute, a progressive think tank, said in a report in December that the duties on aluminum "had their intended effect." The tariffs increased production and investment in the United States last year as companies restarted smelters and announced expansions, the group said. American aluminum production has remained at higher levels in 2019, according to the Aluminum Association. The trade group said production rates for the first three months of the year increased 43% compared to 2018. Yet critics of the tariffs say they have also raised costs for American metal importers, hurting their profits and forcing them to change suppliers. Caterpillar (CAT) said that tariffs may have cost the company over $100 million in 2018. Whirlpool (WHR) said in January that tariffs and higher raw material prices could result in a $300 million hit in 2019.